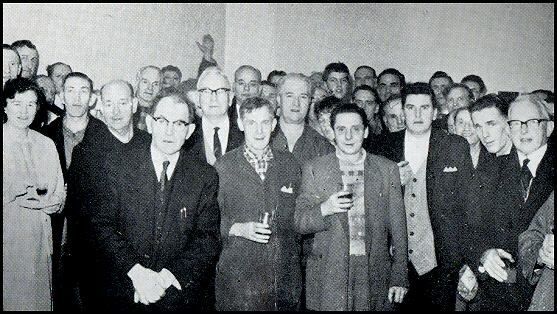 This is the retirement party of engineer Mr W. Beaumont in December 1965 of the works department. Mr Beaumont worked at the hospital for just over 26 years. 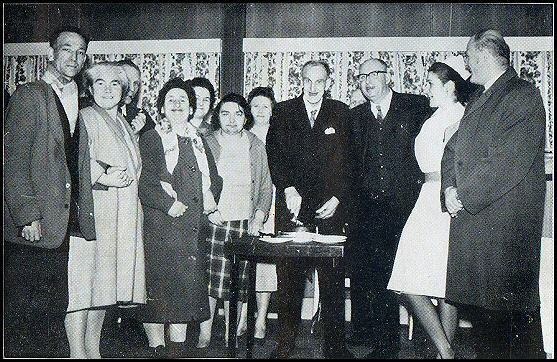 After 60 years as a patient, Mr J. Ellison is given a farewell party upon his discharge from the hospital. « This is Mr Charles F. Hatfield in charge of the printing and bookbinding department. 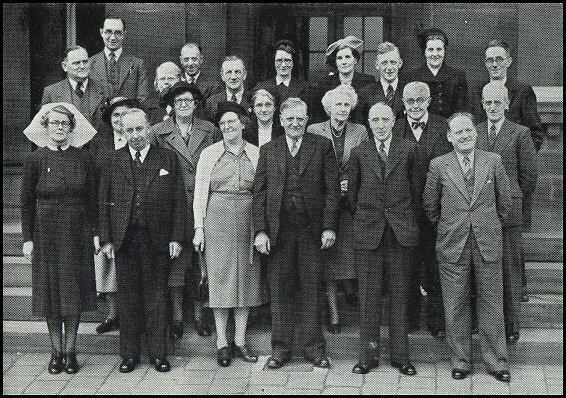 Mr Hatfield joined the hospital in 1948. 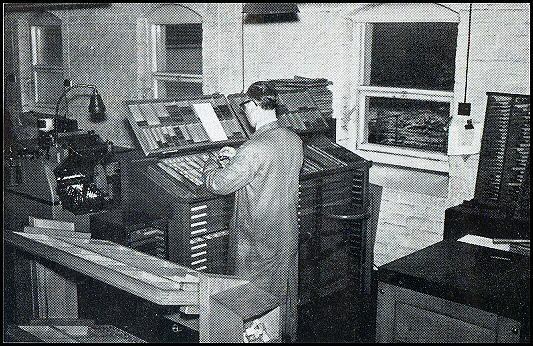 The printing department was started in early 1930's and at the time there was no library in the hospital. Patients had to depend for their reading matter on old books that were donated to the hospital and on periodicals. Old books were sent into the bookbinder's shop to be sewn and bound into volumes. The distribution of books to the wards was a useful form of occupational therapy, and provided interesting work for several patients. 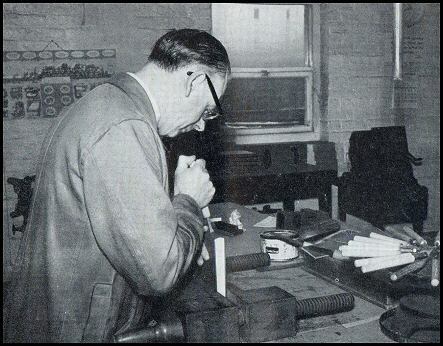 The equipment used back in late 1950's in the printing department was very meagre, consisting of a bench and a couple of tables, a hand operated guillotine, two small copy letter presses, a set of shelves, and an old Roneo-type printing machine. When the printing department was first opened, only a few forms and documents were printed. In 1955 a small Multi-lith hand-fed printing machine was obtained, which increased the scope of the department enormously. Patients’ library books continued to be bound, as well as medical journals, nursing text-books, order books, and huge books of wages sheets. In 1957 the printing department moved to a former farm building. These premises were large, light, and airy, modern and convenient. The old hand held guillotine was exchanged for a 42 inch power machine which cut through a thousands sheets of paper in an instant. Also a new printing machine was installed capable of printing up to 9,000 forms per hour. Few people realise the colossal amount of printed matter constantly being consumed. About three hundred different types of forms were printed, such as, treatment, feeding, finance, entertainment, religion, discharge, etc. New forms constantly appear and menus, church service papers, census forms, wages slips, and a host of other things had to be printed at short notice. For seventeen years, only one member of staff was employed at the department. In later years some patients were employed and happily sewing, punching, stapling, folding and making envelopes. With additional staff it was also possible to undertake more medical library binding. « Rev. 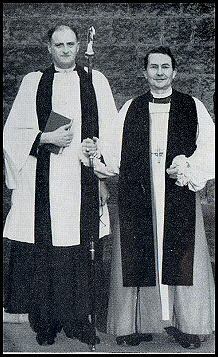 Donald Lister (tall figure) with the Bishop of Sheffield in 1966. 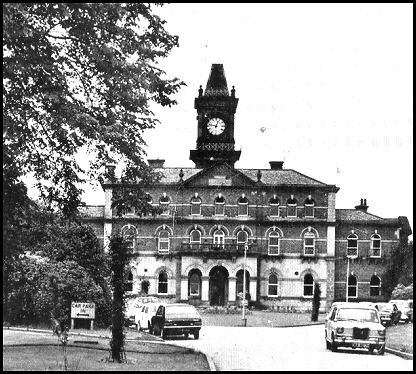 With tragic suddenness, so difficult to comprehend, the news of the death of Reverend Donald Moorhouse Lister on February 19th 1966, stunned all connected with the hospital. To lose two full-time Chaplains within 12 months is a blow which will take many months to recover. Rev. Lister was 52 years old from Dronfield in Derbyshire. 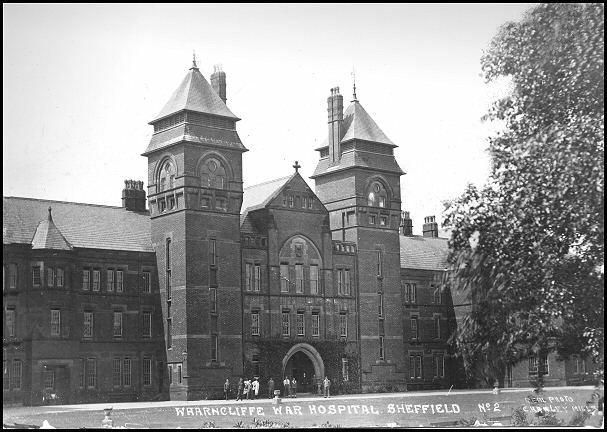 During his interview for the appointment of Chaplain of the hospital in 1950, the Management Committee will recall the assurances he gave at the time. Have been carried out with the meticulous faith which he revealed at all times. His tall figure was constantly seen amongst the patients, who were distressed at his passing. Always in attendance at the patients’ discussion group. He never spared himself in the service of both patients and staff. A devoted family man, he left three daughters and two sons. 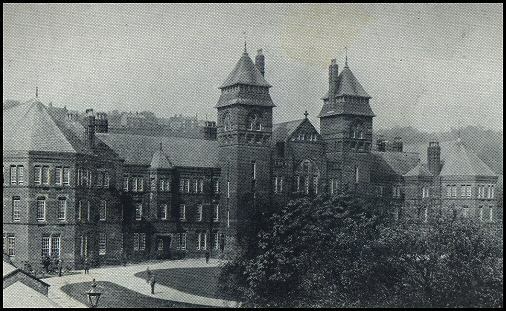 Another view of the Kingswood building from the 1900's. This is the panoramic view of the Kingswood building. 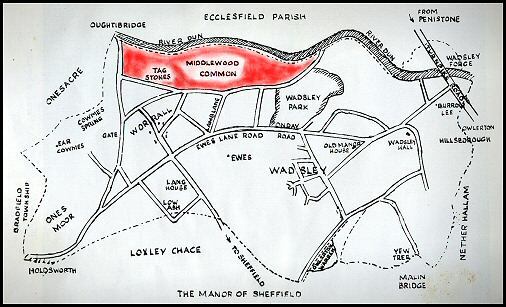 This is part of the Sheffield 6 postal code but in 1802 and before Middlewood Road was made. At the time the area was called the Manor of Wadsley. 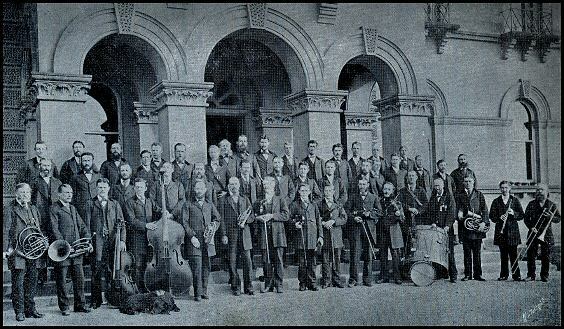 This is the hospital band with sixteen instrument players and staff members. Photo taken in early 1900’s. 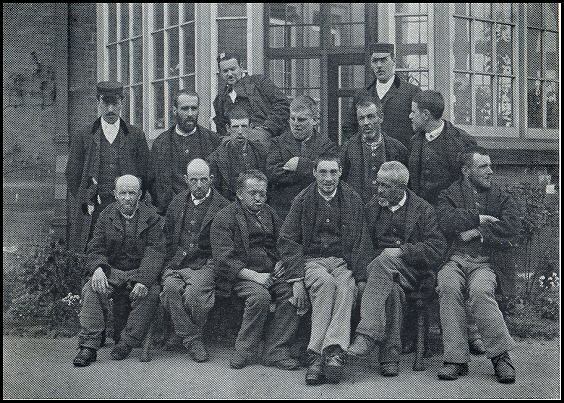 Inmates and Middlewood attendants in 1900's. 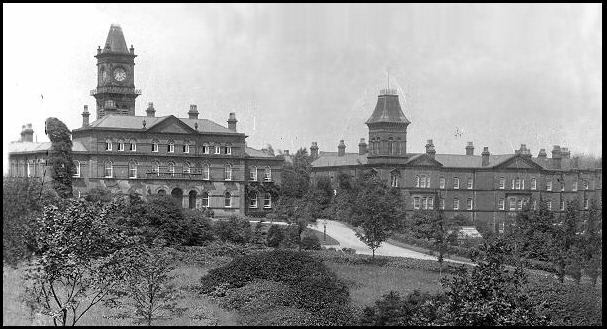 During the First World War the asylum became the Wharncliffe War Hospital with 1,500 beds ready to care for the wounded. 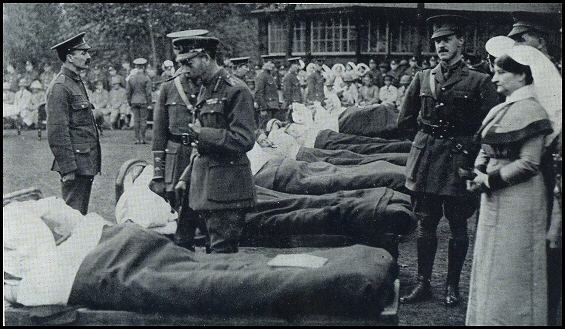 Towards the end of the war in July 1920 the hospital dealt with an estimated total of 35,000 casualties of war. (L. pict.) 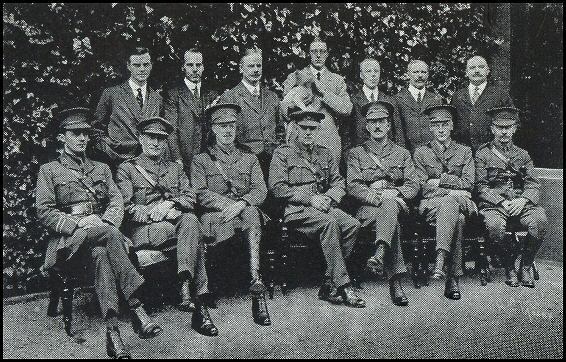 Medical staff in 1910. These are some of the most senior staff appointment at the hospital. 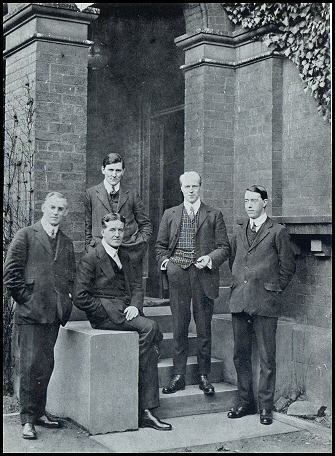 On the left is Dr W. J. N. Vincent who was the medical Superintendent of the hospital at the time. (R. pict.) 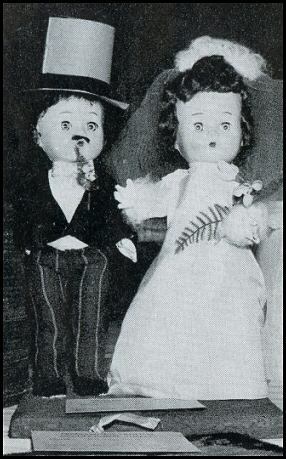 These two figures made by patients for the festival of talent competition in 1965. 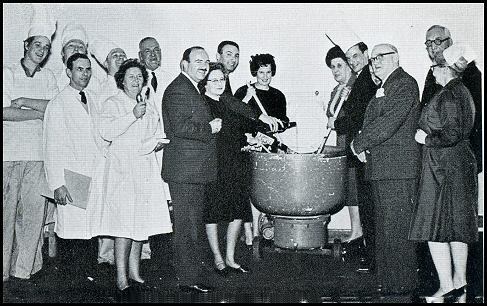 The Lord Mayor and Lady Mayoress of Sheffield stir the Christmas pudding in 1965. Above photographs extracted from the Middlewood magazine printed in 1965 & 1966 and from the centenary booklet of the hospital. Supplied by Doreen and Eric Crowther, both worked at the hospital for many years. Photo taken in early 1900's. Supplied by Malcolm Nunn. The back of the card has a stamp showing King George V and was stamped in year 1915. This is the same year the King visited the hospital.